Type of works: Installation of REVOLVEDOOR 5201, East Thames Housing Group, London. 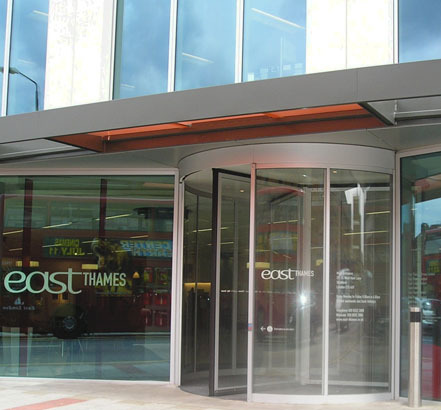 The newly designed headquarters of East Thames Housing Group, the largest housing association operating solely in east London and Essex, features an impressive 3m high automatic revolving entrance supplied and installed by TORMAX. Set into a glass curtain wall from McMullan Systems, the 4-wing REVOLVEDOOR 5201 combines intense practicality with contemporary aesthetics that are enhanced by a surprisingly slim transom in which the door operator is housed. 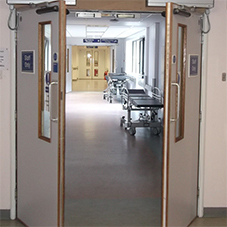 Delivering continuous performance, even under demanding levels of pedestrian traffic, the TORMAX REVOLVEDOOR is one of the most reliable systems available today, consistently withstanding the test of time. Matching a key aim to maximise energy efficiency within the headquarters, the revolving door reduces heating requirements by providing a barrier to the external elements. Ensuring easy access for all employees and visitors to the building, TORMAX also incorporated an automatic swing door into the building frontage. A challenging development, architects for the project, Fletcher Priest, aimed to present each facade with an individual character suited to its immediate context while providing a vibrant street elevation to the ground floor café, marketing suite, reception and public area. Having worked with TORMAX on other successful projects, Fletcher Priest specified their revolving door system for the main entrance. 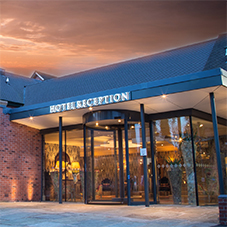 Controlled by a simple programmable keypad, rotating speed can easily be adjusted to match fluctuating levels of foot traffic or environmental conditions outside. With safety an essential consideration, the TORMAX REVOLVEDOOR delivers a high level of safety incorporating technologically advanced infra-red sensors that instantly react to obstructions. If an emergency causes power failure, the REVOLVEDOOR exploits the energy generated by the door being spun too quickly as people exit the building to operate a break-out mechanism, allowing the door leaves to fold back, creating two wide passageways. The door forms the entrance to an impressive, purpose-built, five-storey head office in the heart of Stratford. The reception area of the building is designed to be welcoming and accessible both for the Groups workforce, but also for local residents. 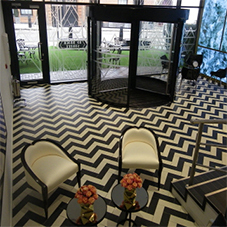 It includes a one-stop-shop front of house service for the Groups residents, public café and arts exhibition space.